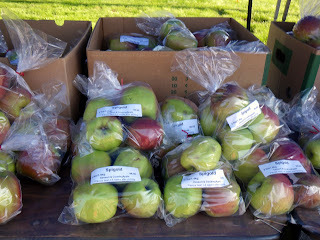 We were happy to join again "Friends of the UBC Botanical Garden (FOGS)" for the last day of Apple Festival 2011, the organization who're in charge of organizing and coordinating this popular family event. Today we enjoyed the sun, volunteering in the apple sales area. 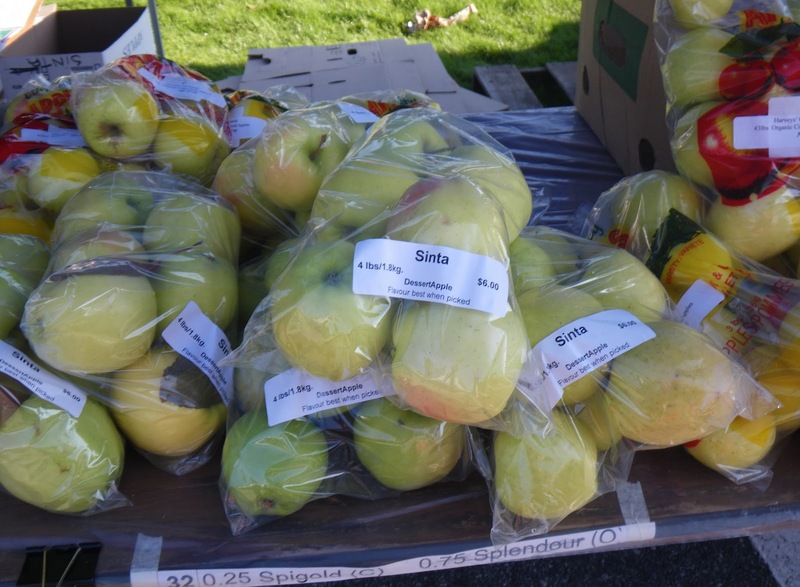 Before opening the gates, we rearranged the apple bags on the tables and learned a little bit about the varieties from our area: Silken; Sinta; SPA 493; Spencer; Spigold; Splendour; Stayman Winesap; Sundance and Winter Banana. 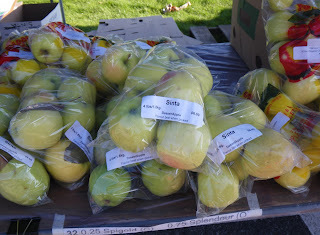 Anyhow... after two hours (around 1.00 p.m.) all the apples were sold, the last variety of apples being Spigold. 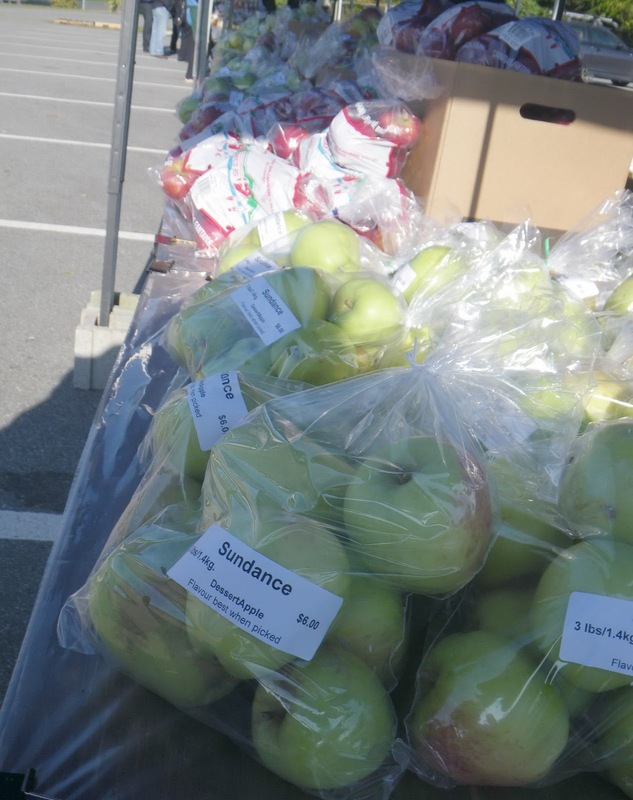 So, unfortunately, the good weather did create a bigger crowd than normal which led to all the apples (and not only) being sold out before the festival was over. 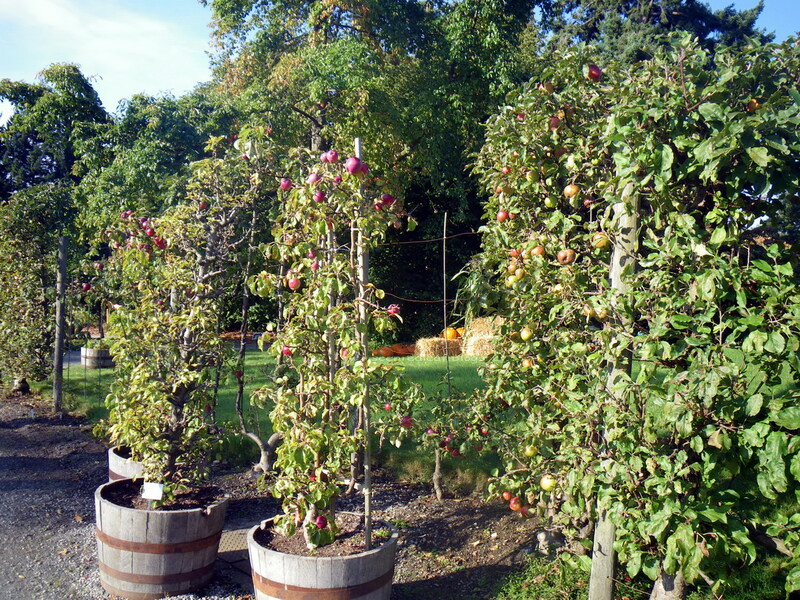 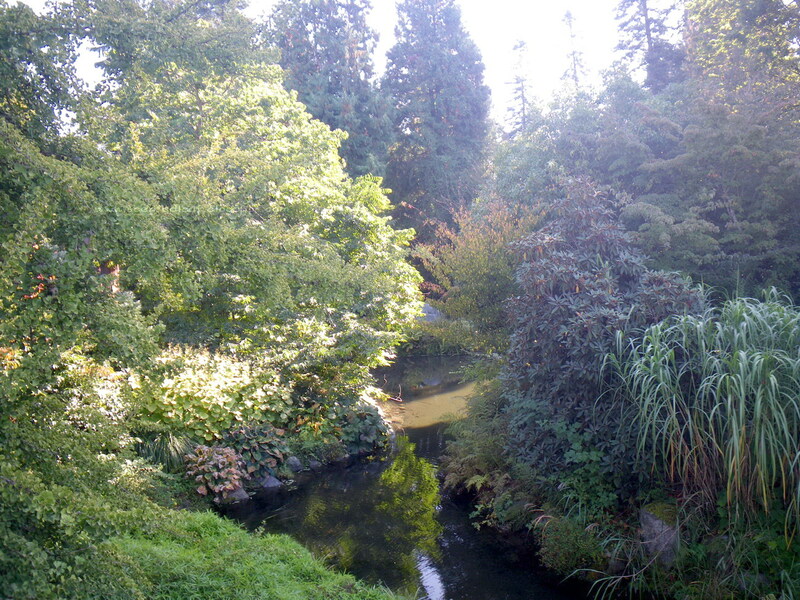 After we done our job, we went for 3 hours in the crowd walking through The Physic Garden; The food Garden (where people enjoyed to see a full crop of apples in the apple trees), The David C. Lam Asian Garden and the Alpine Garden; listening live concerts in UBC Botanical Garden Amphitheater; eating apple pies and fudges; and drinking apple juice. 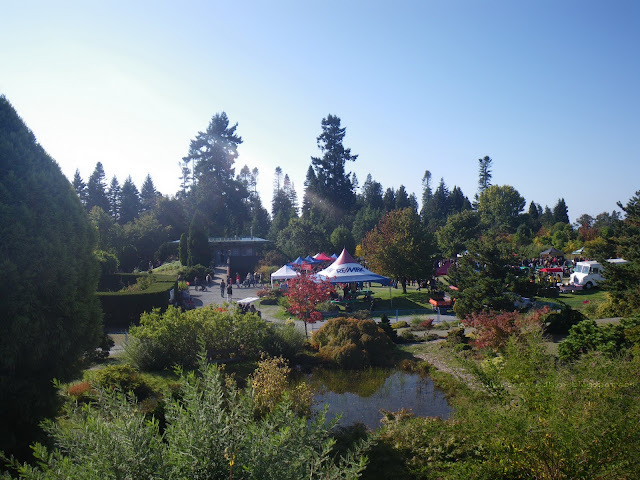 We found it as an educational and fun event for us, who got there at the beginning and stay there till the end, and ... we are happy that helped make this successful fundraising event for UBC Botanical Garden.